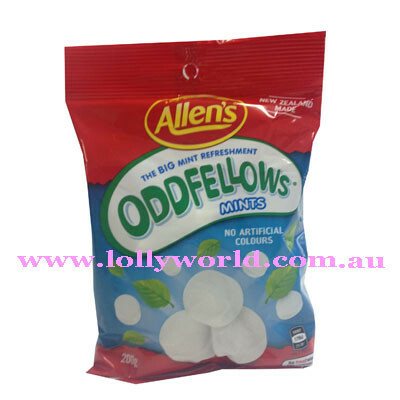 Allens Oddfellows are made in New Zealand are the BIG mint refreshment. The perfect strong mint for any occasion. A convenient snack size pack to take with you anywhere. It is hard to find this sort of mint now I hope Allens know what they have and keep it.